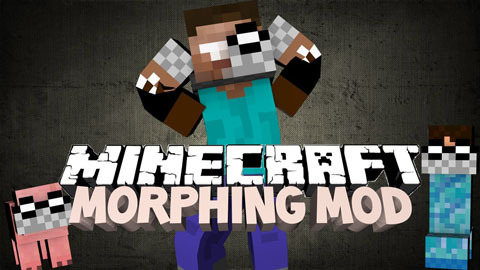 Morphing Mod is an amazing mod that enables you to morph into any mob after killing it. You can cycle through all the morphs you have and you can become anything at any point. It is the ultimate disguise! This also is compatiable with any mod that brings in a living entity, so if you added orespawn per say it will work on the bosses themselves! 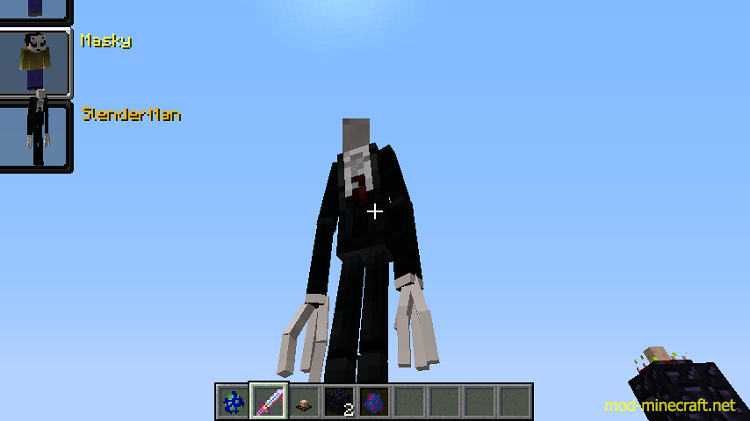 The way you morph into mobs is so unique, it takes each model piece from a mob and dissembles it and resembles it onto the player! This mod is still in beta and is planned to have many more features! “Acquire” most living mobs by killing them (a morph). This includes other players, silverfish, turrets (from PortalGun) and even descriptive books (from Mystcraft). You cannot reacquire an identical morph. Browse previously stored morphs with the (defaults) HOME/END keys. Rebindable in the config. Once the selector is open you can use the mouse to browse. Select a morph with the ENTER/RETURN/LMB. It takes 4 seconds to transition between morphs, and you cannot acquire morphs while morphing. Remove a morph with the DELETE/BACKSPACE (rebindable). You cannot remove your original state/the morph you are currently using. Close the morph selector with the ESCAPE/RMB. It will auto close if there is another GUI open. Climb: Mimics spider climbing up walls etc, you have to push yourself against a wall and you’ll climb up it. You need to remain pushed against the wall to climb up it, of course, and you fall if you let go. Fly: Mimics creative flying, available for vanilla mobs that fly. Float: Only one mob in vanilla supports this, and that’s the chicken. Instead of falling to your doom, you slowly float downwards like chickens do. Fire Immunity: A variety of mobs have this, especially all the nether mobs. This will make you fire resistant and let you swim around in lava if you want to. Hostile: Certain mobs are labelled hostile specifically because they try to target players. There is no use of this ability unless you enable Hostile Mode in the config (explained later). Swim: This ability allows mobs to breathe underwater, and optionally, make them drown when out of water. Sunburn: Think Zombies and Skeletons burning in sunlight. Yeah. Water allergy: You take damage when wet. Like endermen and blazes. To identify abilities, look in the Morph gui under the name of the morph, listed there are abilities that may be available to the mob. (For example, the skeleton has an additional fire immunity which affects wither skeletons and sunburn which affects normal skeletons instead).